In the 1950’s the South Australian Railways bought 10 ex Victorian Railways N class 2-8-2’s and numbered them as 750 class. For a while they kept their VR numbers and there is also a pic of a 750 with the N class cast plate still on the pilot (in the 450-490 series) but with 753 painted on the other side of the headstock taken at the Islington Workshops Steaming Up shed. 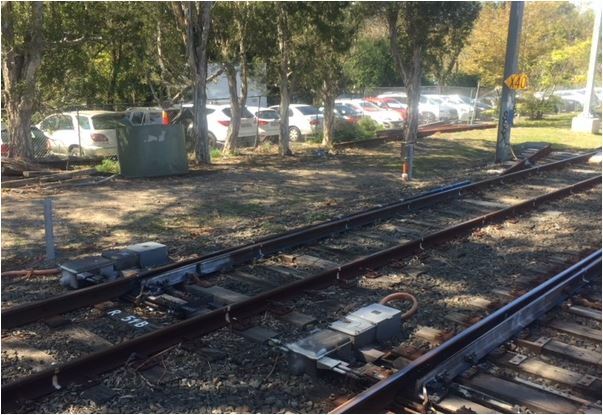 When Queensland Rail electrified their Brisbane services, several stainless steel train sets were loaned/leased to Western Australia - complete with QR markings for a number of years. When Western Australia electrified their Perth metropolitan services, their diesel railcar fleet was sold to New Zealand and spent their last years in Auckland commuter services prior to their lines being electrified. I photographed many of these in Westfield yard south of Auckland when the lines were being electrified in 2013. At one stage, the Railways of New Zealand and Tasmania were run by the Wisconsin Central who bought up a number of locomotives from Queensland and Western Australia. So in Wellington, it was possible to see ex WAGR A, AA and AB classes, as well as QR 1460 and 1502 classes. Later an ex QR 1502 class and a NZR DC class found their way to Tasmania. Back in the 1980’s when the Queensland Railways electrified many of their coal lines and the Mainline to Rockhampton, Tasmania’s railways were operated by Australian National Railways and bought the entire class of QR’s 1300 and 2350 classes for about 45 locos. ANR also transferred a number or ex South Australian Railways 830 classes, although many were transferred back after a few years. They ran with their QR and SAR schemes for quite some time although the Queensland Locos were renumbered into the Tasmanian Z series. The ex BHP “tramway” line between Whyalla and the Iron mountains to the west on South Australia’s Eyre Peninsula has been recently taken over by Australia Southern Railway and has had ex WAGR DB class, SAR 830 class, ex Victorian Railways T class as well as the ex BHP locos freely mixed and matched on their ore trains. This caught my eye whilst waiting at the local station. 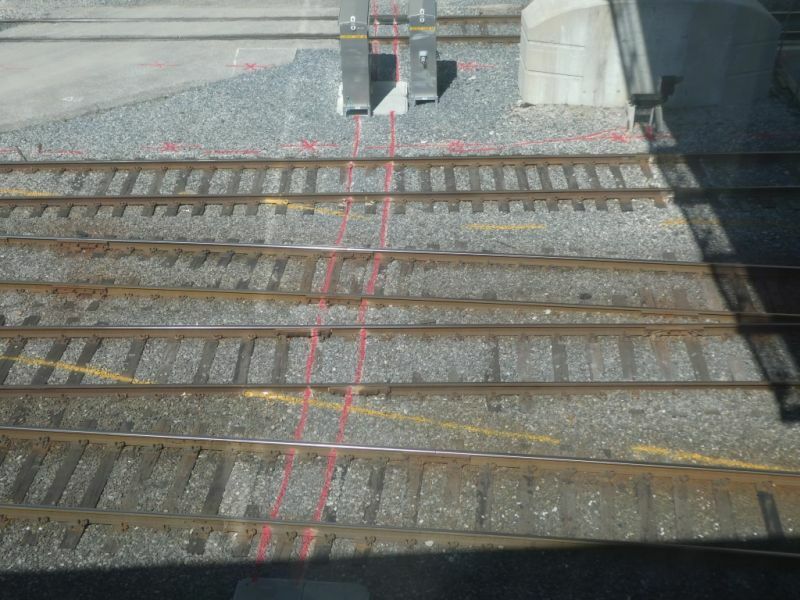 A derailer to stop runaway trains entering the mainline is common but look what any derailed train would collide into - its a newly erected stanchion ! Maybe something to model where space is limited ? During WW2, Commonwealth Railways commandeered a number of locomotives from the South Australian Railways T class 4-8-0’s and Y class 2-6-0 as well as their own NM class which were copies of the Queensland Railways C16 class. Plus there were two US built 0-6-0’s Saddle Tanks built by Vulcan Foundry so there were influences from a few scenes as well Beyer Peacocks Colonial type 2-6-0 which were replicated with WA G class and Tasmanian CC class. Rollingstock was a mixture of SAR and CR stock. spotted at Toronto Station in Canada. . . So now I have an excuse for all those marker pen or Chalk lines on the baseboard ! The Overland between Melbourne and Adelaide grew in the early 1970’s to about 20 cars length and I remember seeing a Victorian F Class engine which was very close except for minor details to a British 08 class 0-6-0 loco bring the set in single handedly from the car sheds to the platform in Spencer Street, and at not a bad clip either! Queensland has a number of 2 ft gauge railways which are used in the sugar fields for gathering cane even to this day although their numbers have diminished gradually shrinking further north. I have only had limited experience watching them only once having been there for the sugar season but I have seen a single 0-6-0 hauling about 70 cane wagons snaking around the fields near Mossman north of Cairns and in their own right, these railways are a fascinating model subject. On 4 October 1956, the loco of the Up ‘Royal Scot’ failed north of Carlisle. 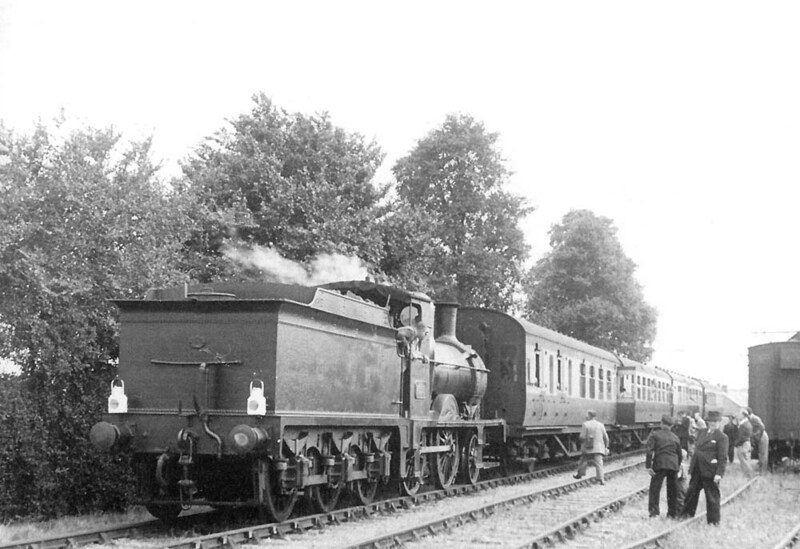 The train eventually arrived 62 minutes late behind Crab 2-6-0 No.42876 – tender first. It would be but I was born in Australia in 1954 and lived here most of my nearly 64 years. 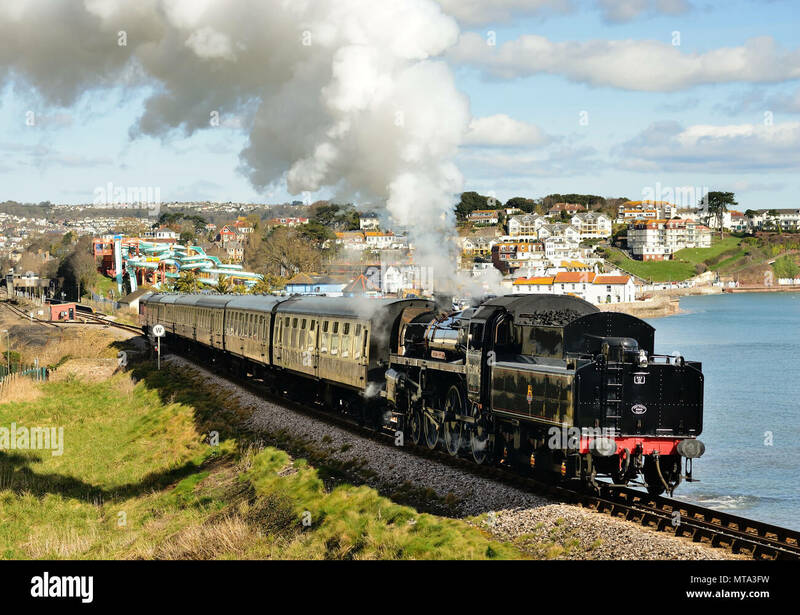 The only experience I have is seeing 4-6-0's on the South Devon and Paignton and Dartmouth Railways as well as a 4-6-2 West Country and a S&D 2-8-0 on the West Somerset running backwards as well as a movie showing Tornado hauling a train tender first. I have also seen video of Union Pacifics 4-8-4 no 844 hauling a train tender first so in short it has been known to happen in the preservation era but Brian would have been very accurate with his recording.